Planned all-female ten day long-duration flight. Solovyova would have conducted the first female space walk. Cancelled in spring 1966, after death of Korolev, in order to concentrate on Soyuz and Lunar landing programs. Launched: 1966 Late. Number crew: 2 . People: Ponomaryova, Solovyova, Yerkina, Kuznetsova. Country: Russia. Spacecraft: Voskhod. 1965 January 9 - . Cosmonaut recruitment - . Nation: Russia. Related Persons: Korolev, Kuznetsova, Ponomaryova, Solovyova, Tereshkova, Yerkina. Program: Voskhod. Flight: Voskhod 5. Spacecraft Bus: Vostok. Spacecraft: Voskhod. Kamanin would like to get going with the training of 40 additional cosmonauts from many disciplines in order to 'storm space'. Korolev is opposed. Kamanin is also trying to get new flights scheduled for his female cosmonauts. This is never mentioned in the planning of future flights. Korolev is opposed to sending any further women into space. Kamanin would like to see a two-woman Voskhod flight, or a woman making a spacewalk. Aside from Tereshkova, Ponomaryova and Solovyova are as qualified and talented as any of the male cosmonauts for such flights. Yerkina and Kuznetsova, although they have completed the course, are ruled out by weaknesses in technical areas or character, in Kamanin's opinion. Voskhod crews - . Nation: Russia. Related Persons: Beregovoi, Ponomaryova, Solovyova, Vershinin, Volynov. Program: Voskhod. Flight: Voskhod 5. Spacecraft Bus: Vostok. Spacecraft: Voskhod. Kamanin queries Vershinin on support for a female Voskhod flight. The Commander-in-Chief approves the idea, but then suddenly brings up the question of Beregovoi. There seems to be a quid pro quo here, but Kamanin says that Volynov is still the lead candidate for the next flight. Cosmonautics Day celebrations go well, with Kamanin feeling he is successful in lobbying both politicians and industry leaders on the idea of an all-female Voskhod flight with Ponomaryova and Solovyova. Voskhod plans - . Nation: Russia. Related Persons: Korolev, Ponomaryova. Program: Voskhod. Flight: Voskhod 5. Spacecraft Bus: Vostok. Spacecraft: Voskhod. Reviewing crewing plans again, Kamanin is shocked when Korolev says he questions Ponomaryova's selection for the flight. Korolev also says he is thinking of taking the physician off the planned later flight and replacing him and the long duration environmental control system with a second manoeuvring engine, so that the Voskhod can demonstrate manoeuvring in space. 1965 April 17 - . Voskhod plans - . Nation: Russia. Related Persons: Beregovoi, Demin, Katys, Ponomaryova, Solovyova, Volynov. Program: Voskhod. Flight: Voskhod 3, Voskhod 4, Voskhod 5. Despite opposition, Kamanin goes ahead with his plans. The 10-day duration artificial gravity flight is planned for October 1965, with Volynov and Katys as the crew. 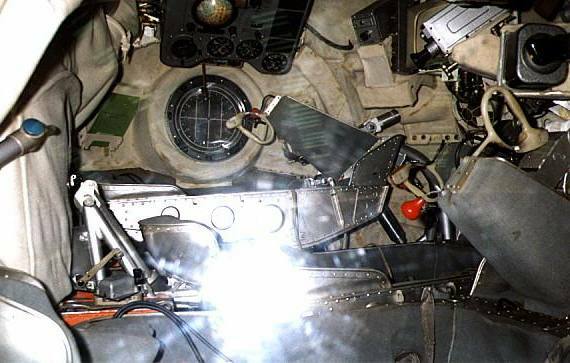 In the first half of 1966 Beregovoi and Demin will fly the long-duration mission, and Ponomaryova and Solovyova will fly an all-female spacewalk mission. However the Americans have announced they will fly a Gemini mission for a 7 to 8 day duration by the end of the year; the Soviets may have to adjust this plan to ensure that they retain the lead in manned spaceflight. Kamanin has told the female cosmonauts of their planned flight, but also warned them there is serious opposition in some quarters. 1966 January 5 - . Voskhod 3 flight date - . Nation: Russia. Related Persons: Kuznetsova, Ponomaryova, Solovyova, Tyulin, Yerkina. Program: Voskhod. Flight: Voskhod 5. Spacecraft Bus: Vostok. Spacecraft: Voskhod. Tyulin advises Kamanin, that due to the time needed to qualify the environmental control system, Voskhod 3 will fly no earlier than the beginning of March. He still expresses interest in the female Voskhod flight - now a long-duration flight without the spacewalk. Kamanin says that Ponomaryova and Solovyova are fully qualified for such a flight, but that he has no female backup crew, since Yerkina and Kuznetsova have not been trained for that. 1966 January 11 - . Female flight go-ahead - . Nation: Russia. Related Persons: Kuznetsova, Ponomaryova, Solovyova, Tyulin, Yerkina. Program: Voskhod. Flight: Voskhod 5. Spacecraft: Berkut, Voskhod. Tyulin has ordered the crew for the female Voskhod flight to enter final flight training and the preparation of all necessary space suits, cabin uniforms, crew couch liners, documentation, and other final preparations..
1966 January 31 - . Voskhod sinks from sight - . Nation: Russia. Program: Voskhod. Flight: Voskhod 3, Voskhod 4, Voskhod 5. Spacecraft Bus: Vostok. Spacecraft: Voskhod. After Korolev's death, the leadership simply "forgets" about the instructions to fly a new series of Voskhods. The decrees ordering the flights are never rescinded, but the issue is not seriously raised again..
1966 February 15 - . L1 trainers - . Nation: Russia. Related Persons: Tyulin. Program: Voskhod, Lunar L1. Flight: Voskhod 3, Voskhod 4, Voskhod 5. Spacecraft: Soyuz 7K-L1, Voskhod. Tyulin lays out the military experiments that are to be conducted aboard Voskhod during 1966. Plans for completion of an L1 trainer for preparations for a Soviet circumlunar flight are discussed..
1966 April 8 - . Voskhod 3 further delayed - . Nation: Russia. Related Persons: Tyulin. Program: Voskhod. Flight: Voskhod 3, Voskhod 4, Voskhod 5. Tyulin reveals that Voskhod 3 should be completely integrated and ready to go by the end of April, but the flight will be pushed back even farther than that. Mishin is also raising questions about Voskhod 4 and Voskhod 5. The cosmonauts are ready, but have nothing to do but wait. Who will supervise future manned space missions is in question. Korolev was de facto leader in the past. The others - the President of the State Commission, the President of the Academy of Sciences - were in fact just there in support roles. Without Korolev, this may change in the future, and the question has become controversial. Voskhod 5 (cancelled) - . Crew: Ponomaryova, Solovyova. Backup Crew: Kuznetsova, Yerkina. Payload: Voskhod 3KD. Nation: Russia. Program: Voskhod. Flight: Voskhod 5. Spacecraft Bus: Vostok. Spacecraft: Voskhod. Planned all-female ten day long-duration flight. Solovyova would have conducted the first female space walk. Cancelled in spring 1966, after death of Korolev, in order to concentrate on Soyuz and Lunar landing programs..